We are proud to be part of this annual prestigious event. Khunying Supatra Tantipipatpong, the founder of Thai Pineapple Canning Industry Corp. Ltd. and the Chairlady of Sang-Song-Lah Charity Club, recently presided over the scholarship ceremony on May 13th, 2013 at The Royal Thai Police Sports Club. Our Scholarship Program is now run for 30th consecutive years, providing financial aids to more than 10,000 students all over the country. 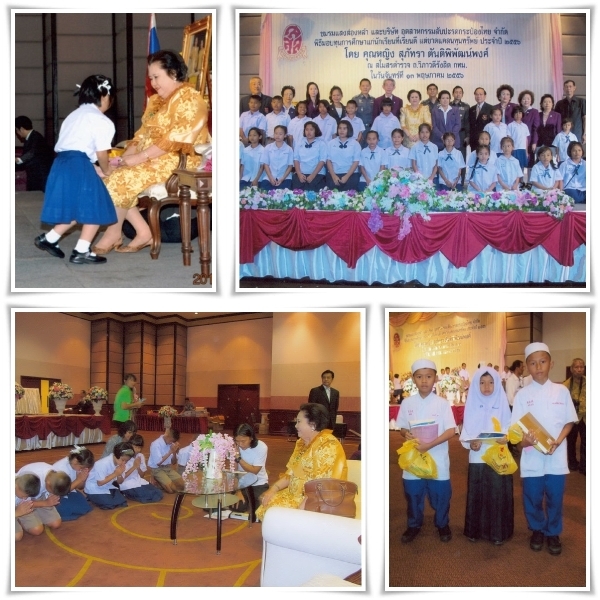 This year, there were 550 students from 22 provinces of Thailand to receive scholarships. In addition, we received supports from organizations in providing stationeries, sport equipment, and toys.